Saving the files as PDF(Portable Document Format) had been a major issue for many of us. So many of my friends, juniors and others have been using online Word to PDF converter tools. When I came across this same problem during my project submission for IBM TGMC, like others I too first went on to try online tools. Later on same day realized that there will be solution for this somewhere in a easy manner. So I went back to Microsoft Word and did few things which then made me to work easily. 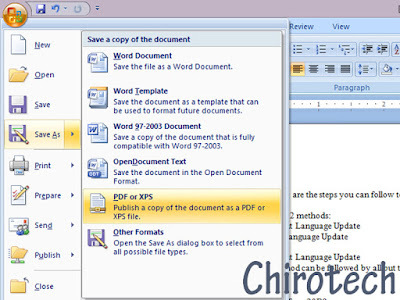 Let's see what to do, so that you too can directly save PDF files directly from Microsoft Word. How to save File as PDF in Microsoft Word 2007? Go to the Save As and then click on the Find ad-ins for the other file formats. Help and Support center dialog box opens there select install PDF it will redirect to Microsoft Site. This process can be done other way by directly searching in the goggle as Microsoft PDF. Mostly the first link in the search results is same as redirect from Microsoft Word. Scroll down the page and then select the language you prefer and click on Download. You will be taken to another page where there is a set of other Microsoft products recommended by Microsoft. Here you don't select any of it and click on Download again. The office 2007 exe file is downloaded to your system. Double tap it and Install it. 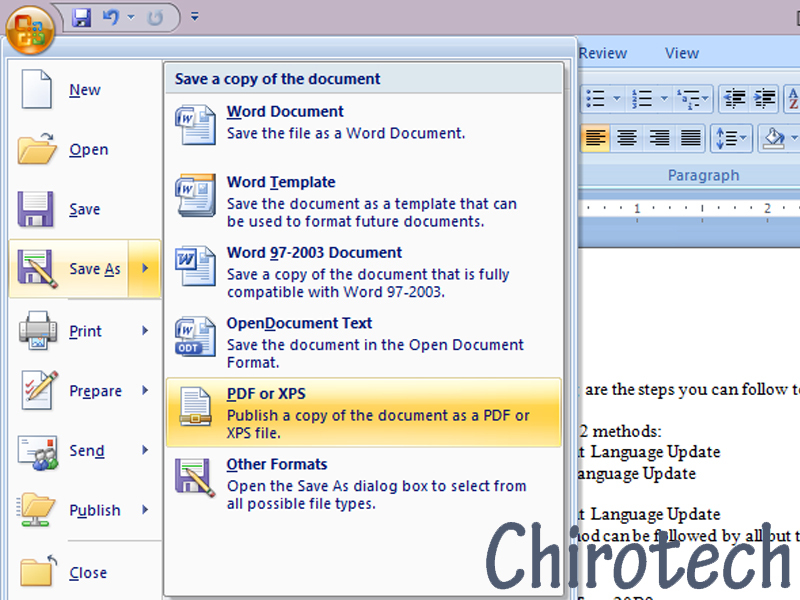 Now open Microsoft Word, in the Save as option you can find PDF. From now you can save all the files in PDF formats whenever you need. *As you do this it automatically applies to all other Microsoft Office Suite. ** In the recent versions of Microsoft Office 2010, 2013, 2016 the PDF is in-built Save As option. Portable Document Format is a file type which is used to view the contents across all Operating System without any lose or misplace in content. To open the PDF file you need minimum Adobe Reader, if not you can use browser such as Chrome and Mozilla Firefox.